MY DUTCH 350 is a sleekier version of the original MY DUTCH, especially useful if traveling or planning to place it in the office. 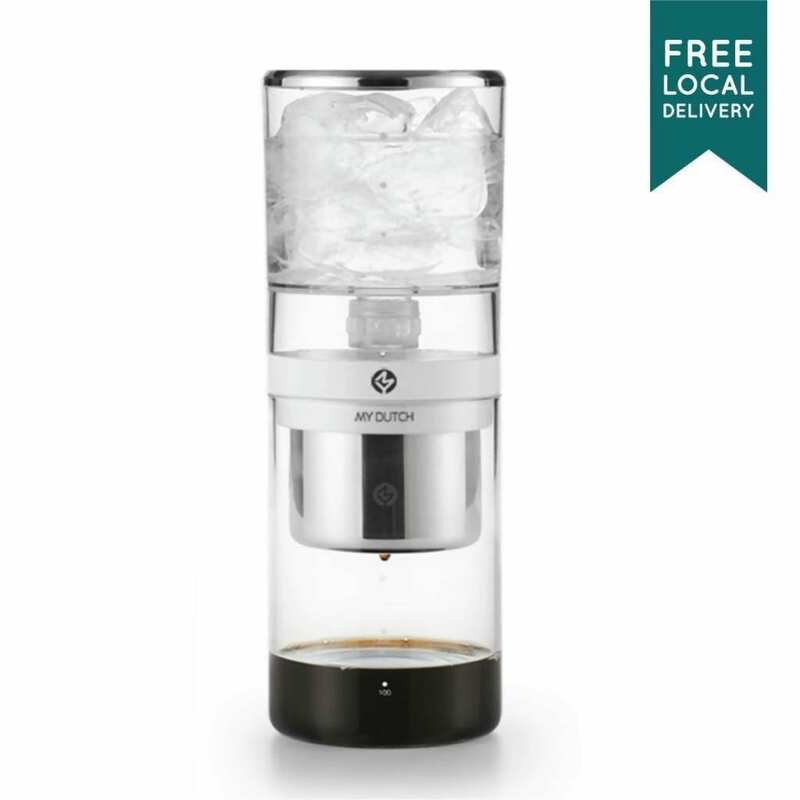 If you’re looking for the perfect way to make iced-drip tea, look no further! 2. Place the tea leaves on top. 3. Place another round filter paper on top of the tea leaves so that the water can be more evenly distributed. 4. Lower the basket gently into the MY DUTCH server, with the holder in place. 5. Fill up the tank with ice and water and cover the lid. 6. Adjust the clean drip valve so that the water comes out at the rate of 1 drop per second. 7. Place the tank on the holder to begin making your cold-brewed tea. It will take approximately 4 hours to make 350ml of tea.